CRYENGINE-powered War of Rights hits Steam Early Access today, and we caught up with Mads Støjko Larsen, Co-Founder of developer Campfire Games, about their launch and what’s coming next. 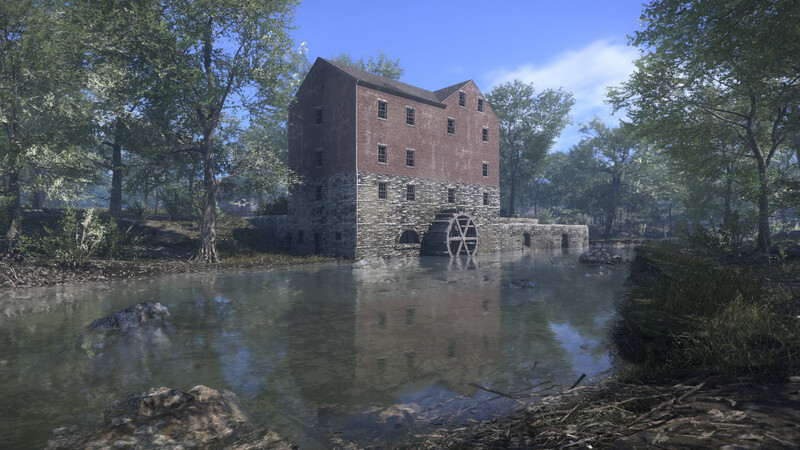 War of Rights takes players back in time to the days of the American Civil War. This unique first-person, multiplayer shooter takes place during the tumultuous and bloody Maryland campaign of 1862. Featuring 150 player battles, the game historically recreates the battlefields, regiments, weapons, uniforms, and tactics of the time in this highly ambitious game. We spoke to Mads Støjko Larsen to find out more. The game has been in development for six years. How does it feel to be launching on Steam Early Access? We are thrilled to be bringing the alpha of the game to Steam Early Access. It will hopefully help grow our community into an even more awesome one (that will be hard!) and increase the server activity by a huge margin. We originally started the project with no game development experience, just to see how far we’d get. We are primarily self-taught, and we have maybe not had as many clear milestones as others during the development. It’s really a matter of pouring all your energy into one task or issue, then the next, and the next after that, and before you know it you’ve made a lot of progress. I guess the first few years could be described as blindly feeling your way forward, which is a blessing and a curse. Your lack of experience is a curse as you will run into more issues than experienced people, but the same lack of experience is also a blessing as you have no idea just how much work lies ahead of you, so you soldier on. In some ways, we are still going forward blindly as each new release is entirely new ground to us. We do, however, thrive on being independent and allow ourselves the privilege of having a more free-flowing development plan than most. We have no massive design document with hard dates and features and systems. We never really did. This allows us to expand our vision much more freely and develop the game in close unison with our community. What will players experience in Steam Early Access for War of Rights? 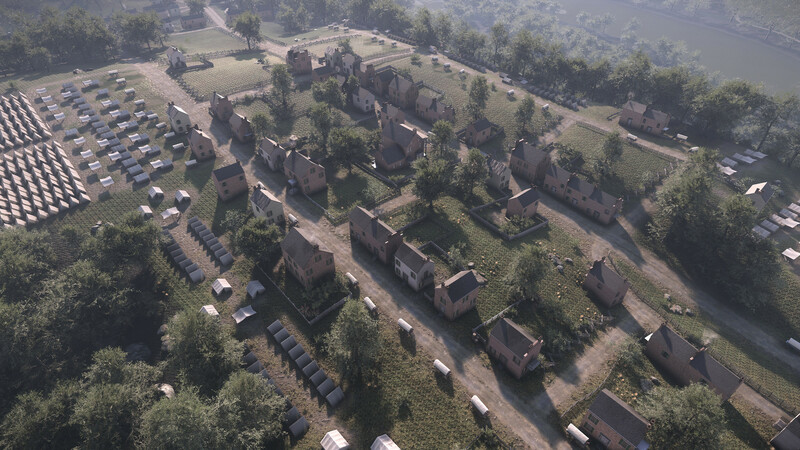 The initial release will feature more than 30 different skirmish areas, all part of the Battle of Antietam and the Siege of Harpers Ferry during the Maryland Campaign of 1862. We will have some 75 accurate regiments, with supporting ranks from Private to Colonel, with Private, NCO, Flag Bearer and Officer classes. Then there will be two massive drill camp areas, a dynamic weather system, game mechanics tailored for authentic teamplay, and much more. 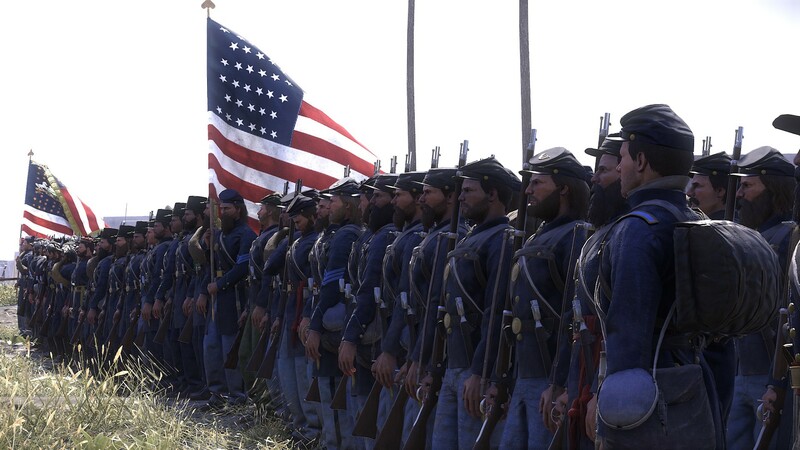 What does the level of historical authenticity bring to War of Rights? Historical accuracy and realism have always been hugely important factors to us at Campfire Games, as they bring a level of authenticity and immersion to the game that is hard to get from elsewhere. The authenticity brought by the correct period uniforms, weapons, levels, objectives and the manual of arms animations drives the players to engage by using correct firing commands, drilling marching formations on the drill camps, and even just get into some general roleplaying using our 3D voice system. The rebel yell is always a popular one and Huzzah’s during Union charges are common too. We have also designed the majority of our game mechanics around the idea of best supporting authentic player behavior. We feature a formation buff system that not only helps you negate some of the suppression effects in the game, but also reduces the overall team morale cost when you die. This makes the players seek out and create large formations when playing, instead of spreading out as seen in most other FPS games. Another design feature created with authenticity in mind is our flag bearer player class. The flag acts as a mobile spawn point, simulating the reserve of the regiment, for as long as the flag bearer is close to friendlies in formation. We wanted the flag to be a prime target for the enemy and we wanted it to be a top priority for the players to pick up the flag should it fall next to them, just like it was in real life. To achieve this, we only allow flag bearer spawns for as long as the flag is held by a player. Should that player die another player will have to rush to him to pick up the flag to continue the hugely important constant trickle of reinforcements to be active. We have a historical advisor, Clark Morningstar, as part of the team at Campfire Games. His knowledge, as well as several other members of the team (we have quite a few Civil War nerds onboard) and the input of our community has been very important. What is the team hoping to learn during the Steam Early Access period and why did you choose to go this route? We hope to learn, preferably be confirmed, that our game systems are indeed designed in such a way that players will want to play the game as authentically as possible. There is always the risk that it’s only been that way up until now due to the passion from our crowdfunding backers. We are also very interested in seeing what kind of appeal a 19th century black powder warfare game has in the gaming market. It’s not like there are a lot of other titles out there currently! We chose to go the Steam Early Access route because it seemed like the next obvious step. We’ve always tried to be as open about the development of the game as possible and to react to feedback and suggestions to the best of our ability. We hope Steam Early Access will allow us to continue doing this. How important has community feedback been during the development of the game? That’s an easy one to answer! There wouldn’t have been a game without it. We’ve been lucky enough to have had a very passionate and dedicated community helping us on a weekly basis to test the latest alpha update (and we’ve released close to 130 of those the past few years). Anything from bugs to historical accuracy issues and how to deal with revolver wielding “Rambo” officers has been highlighted by our community. The game’s dynamic weather looks amazing. Does it affect gameplay too? Thank you! The rain does to the extent that it will limit your visibility drastically. It can get particularly bad on the drill camps, but due to our historical focus, we only allow it to go as far as a light drizzle on the skirmish areas as no sane general would order an attack during a heavy downpour (wet powder, a mud nightmare for the wagon train, etc.). The wind will also vary in strength and it will carry your black powder smoke away quicker from your location, which will help you out in regards to visibility. How do you go about balancing 150 player games? Players will be quick to exploit any over-powered positions and so desertion boundaries, ticket adjustments, distances from spawn to capture point, and so on, can all be tweaked to get the desired result. It’s a forever ongoing process though, as each new game mechanic has the potential of disrupting the balance. 150 player supported servers add a large amount of immersion to the game that would have been difficult to recreate with 32 or even 64 players. There simply needs to be a big number of players in order for it to feel like a Civil War experience. We are currently working on further optimization in order to possibly increase the player count even more in the future. Why did you choose CRYENGINE to develop War of Rights? CRYENGINE was the obvious choice for us when having to select an engine we wanted to learn. For the first several years we had no programmers on our team, so we were naturally drawn to the engine that had vastly superior visual capabilities first and foremost. Our levels are all as close to a 1:1 scale of the real thing as possible so having CRYENGINE’s amazing vegetation system has been a huge help to us. What are your future plans for War of Rights? We plan on working on expanding and fixing up the game in its early access phase and eventually, after the actual release of the game, for as long as we have the support to do so. There are no set dates for when the game will be leaving early access. 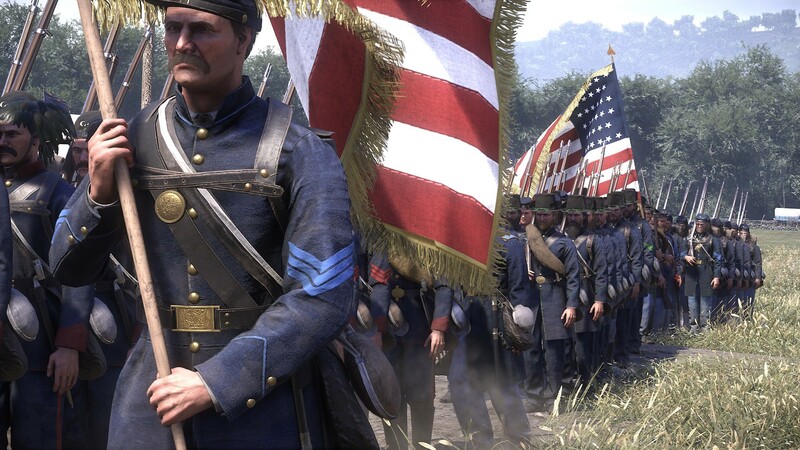 The Civil War supplies us with a nearly endless amount of possible content, such as different army branches (cavalry, artillery), the introduction of generals on the field, more campaigns, musicians, more regiments, etc. so we are very excited to start expanding the scope of the game with the help of the early access players! Head to Steam to play War of Rights now. As ever, we look forward to you feedback in the comments, forum, via Facebook and Twitter, and you can join the community and our CRYENGINE development team over on our official Discord channel.